It’s that time of year again—school is out and you’re headed on your ultimate summer vacation. Whether you’re traveling with friends, family, a partner, or solo, these 10 affordable summer destinations won’t disappoint. They may even leave you some extra money to save—or spend while you’re exploring the world. Why It's a Steal: According to KAYAK, flight prices to many Spanish cities have decreased this summer—Barcelona flights are 35 percent less than last summer, and median airfare is $695. 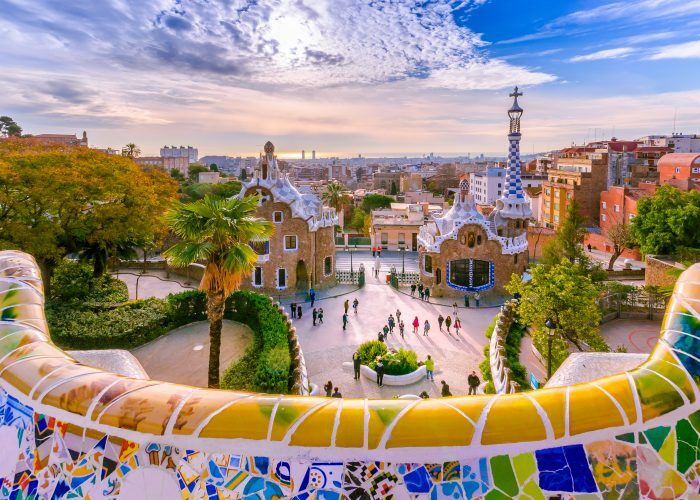 An Airfarewatchdog search yielded flights from New York City to Barcelona under $500 for the months of August and September on Air Berlin and TAP Portugal, so check these airlines first for deals to one of Europe's most affordable summer destinations. On the hotel front, things are shaping up in travelers’ favor as well this summer in Barcelona. U232 Hotel has an average nightly rate around $200 for summer stays, according to Wander. Hilton Diagonal Mar Barcelona, only a 10-minute walk from the beach, is offering a pool package for those looking to relax in the sun. And, Generator Hostel Barcelona offers even cheaper nightly rates if you’re willing to share a room. 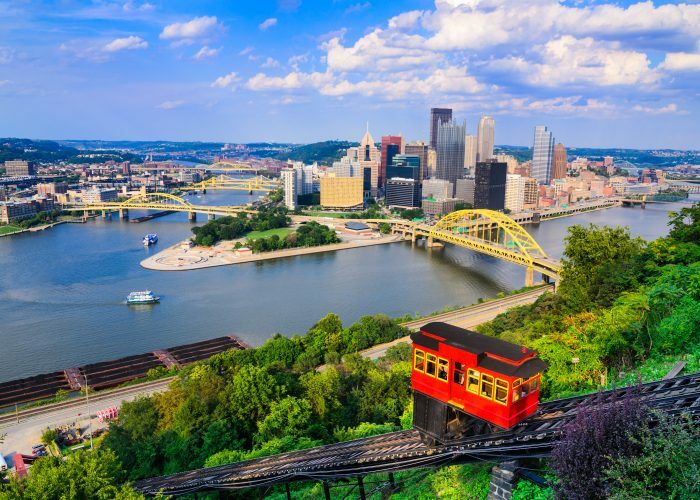 Underrated and up-and-coming Pittsburgh is a family-vacation-ready affordable summer destination this summer. Check out a Pirates baseball game, discover culinary treasures, and explore the esteemed Andy Warhol Museum. Outdoor lovers can hike Mount Washington to be rewarded by perfect sunset skyline views. Why It's a Steal: Spirit Airlines starts nonstop flights to/from seven U.S. destinations to Pittsburgh this month, opening up competition and delivering affordable fares under $100 round-trip (as seen in searches on Airfarewatchdog). According to KAYAK, flight prices are down by 12 percent compared to last summer. The Steel City is also a quick train ride from New York City, and is within driving distance from major Midwest cities like Cleveland. Find an affordable boutique experience at the Kimpton Hotel Monaco Pittsburgh, which opened just two years ago. Wander reports an average nightly rate for the summer months under $250, which is a great deal for all it has to offer—including pet-friendly rooms, daily happy hour, free bikes, a great location, and an onsite fitness center. Don't Miss: Summer festivals include Pittsburgh PrideFest and Pride in the Street, Jazz Live International Festival, BikeFest, and Pittsburgh Restaurant Week's Summer Celebration. Canada is celebrating its 150th birthday this summer, making it a festive time to visit one of Canada's favorite affordable summer destinations. 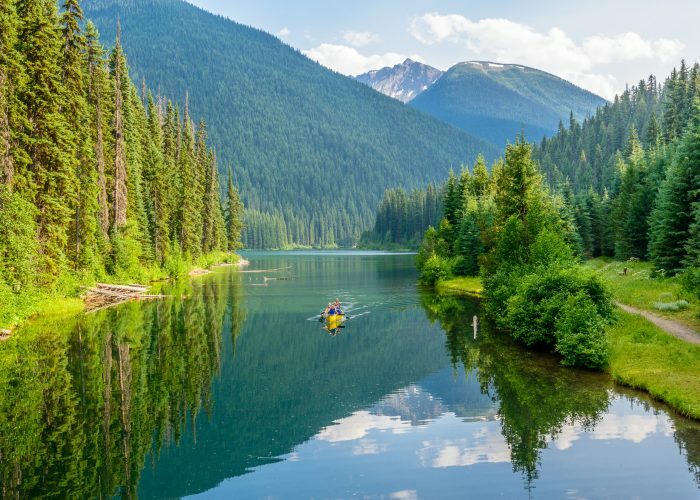 It’s a great time to go—summers in British Columbia are warm but not too hot, with average temperatures around 70 degrees Fahrenheit. And, the Canadian dollar is down by .5 percent compared to the U.S. dollar—great news for travelers from the States. Why It's a Steal: KAYAK reports up to a 12 percent decrease in flight prices to Victoria and Vancouver from the U.S. For even more savings, check out Kelowna, which reports a 23 percent decrease in flight prices compared to last summer. Airfarewatchdog searches yield prices around $200 round-trip from major West Coast cities, giving you even more reason to visit your neighbors to the North this coming season. Canada has been promoting free admission to its national parks and historic sites, and hotels like Canadian Rocky Mountain Resorts, are offering promotions for the big celebration. You can also find great off-season deals in winter ski destinations like Whistler—the Four Seasons Resort and Residences Whistler, for instance, has rates averaging $200 per night, which is a steal for the property. Charleston will be one of the last places in the U.S. to experience the total solar eclipse on August 21st, and it's also a remarkably affordable summer destinations this year. 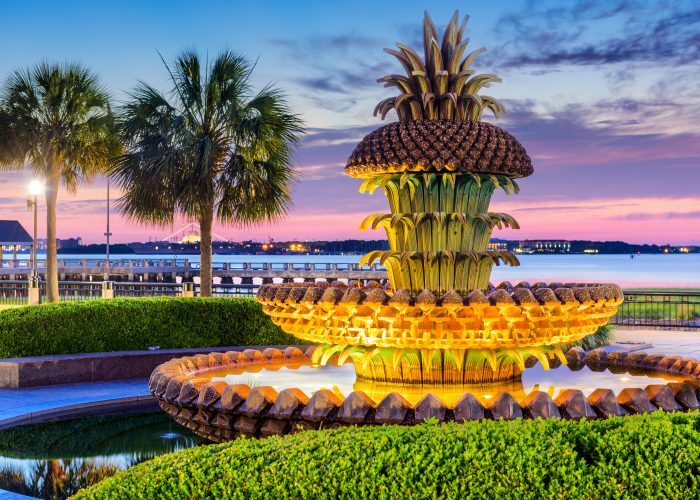 While temperatures in August will be high, the deals are most definitely worth the heat, as this Southern city has been gaining notoriety this past year for its food and sights, and high prices won’t be far behind. Why It's a Steal: Flights are down 13 percent compared to last summer, according to CheapFlights, with a median airfare of $308 from major U.S. cities (as reported by KAYAK). Liligo shows flights around $200 from New York City, making this East Coast gem even more accessible. Don't Miss: Charleston offers beaches, shopping, James-Beard award winning chefs at some of the South's best restaurants, boat tours, and beautiful plantations and gardens. Just beware that summer is also hurricane season, so consider these booking tips. Bonus Location: Nashville, Tennessee, is another affordable summer destinations to observe the total eclipse. Round-trip flights to Nashville, average under $300, according to KAYAK. Enjoy live music, BBQ, and a totally cool celestial wonder all at the same time. Book the Embassy Suites Nashville South Cool Springs location with its Eclipse 2017 Package. Oakland sometimes gets lost in the shadow of tourist-favorite San Francisco, but it’s a stellar destination in its own right. Great summer weather, vibrant neighborhoods, an impressive culinary scene, and family-fabulous attractions make it an affordable summer destination that offers both great proximity to nearby favorites—including San Francisco, Napa, and Sonoma—and plenty of reasons to stick around and enjoy Oakland. Plus it has its own international airport that’s usually easier—and faster—to navigate than nearby SFO. For hotels, Hilton Garden Inn San Francisco/Oakland Bay Bridge has the perfect location between the two Bay Area cities. Summer rates are as low as $138 per night, and come with skyline views and a complimentary shuttle service to nearby attractions. 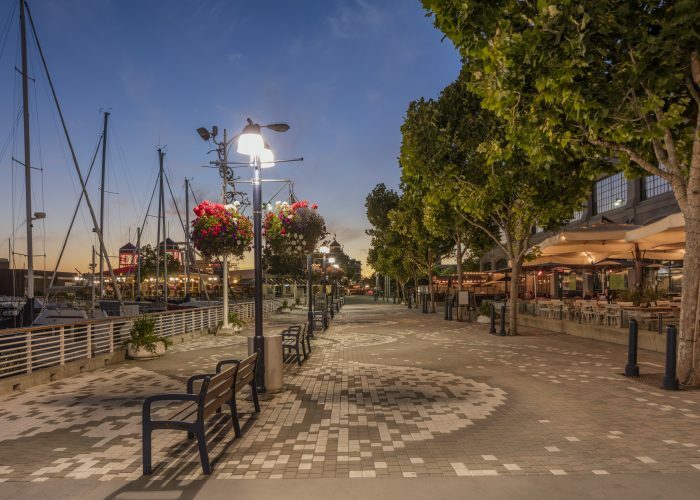 Don't Miss: Uptown, Temescal, Jack London … Oakland is at its best in its neighborhood retail, entertainment, and restaurant districts. Savor the natural beauty that makes the Bay Area so irresistible with a stroll along the Bay at Jack London, a walk around Lake Merritt, or a hike through the redwoods in one of the regional parks along Skyline Drive. Impress the kids with a trip to Fairyland (best for kids under 6 or 7), the Oakland Zoo, Oakland Athletics’ baseball game, Chabot Space and Science Center, and the Oakland Museum. Annual summer events worth checking out include free Pedalfest, Oakland Pride, and Eat Real Festival. San Francisco is a quick BART ride away, and both Sonoma and Napa are about an hour by car. Why It's a Steal: Round-trip flights from major U.S. East Coast cities are around $700 for summer, according to Airfarewatchdog. Since summer is peak season, this is quite the deal for transatlantic travel. Visitors can enjoy inexpensive nightly hotel rates thanks to the favorable exchange rate. 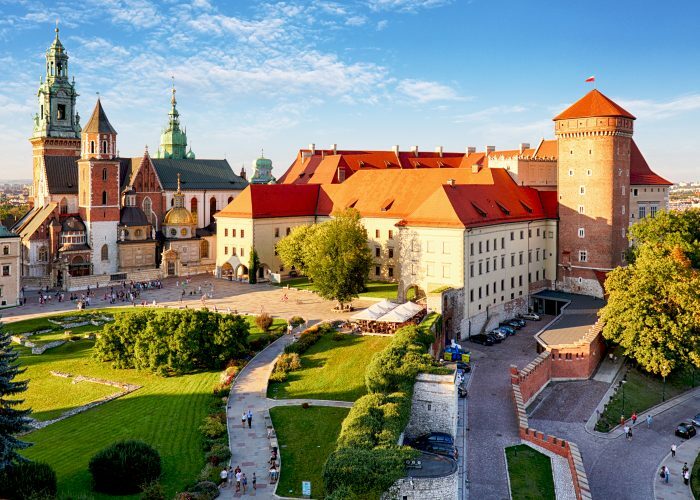 Look at DoubleTree Hotel Wroclaw, Hilton Garden Inn Krakow, or H15 Boutique in Warsaw—all which have average nightly rates below $150 for summer. Notable summer events include the midsummer tradition, Wianki Festival, Gdnask Shakespeare Festival, and the popular Live Music Festival in Krakow. Hilo earns a spot as one of the best affordable summer destinations this year. Hilo’s lush, tropical surroundings offer a striking counterpoint to the otherworldly lava fields on display elsewhere on the Big Island, and visitors enjoy a more relaxed, local feel here. But take note: Hilo is quickly becoming a popular tourist destination for the islands, so visit before the crowds … and prices, rise. Why It's a Steal: According to Cheapflights, airfare is down 13 percent over last summer, but Hilo has seen a 20 percent increase in travelers this year alone compared to last. Round-trip fares average $824 from U.S. cities, with lower prices available from West Coast locales like Seattle and San Jose. Hilo has an affordable vacation rental market, with Flipkey properties starting as low as $99 per night for a one-bedroom rental. The conveniently located Grand Naniloa Hotel Hilo also has affordable nightly rates starting at $130 for the summer months—guests even get a free round of golf at the on-site nine hole course. Don't Miss: Hilo is surrounded by waterfalls, beaches, rainforests, volcanoes and parks. Summer is one of the best times to go to enjoy the outdoors with fewer crowds than in winter and spring. 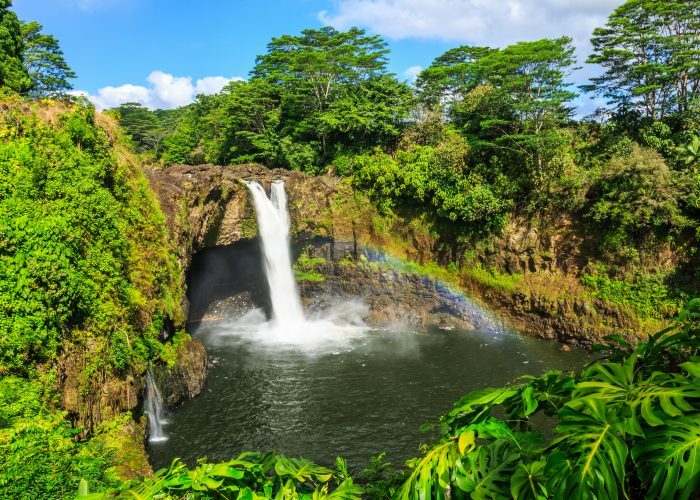 Check out attractions like Rainbow (Waianuene) Falls, the Liliuokalani Gardens, Imiloa Astronomy Center, and the nearby Kilauea Volcano. 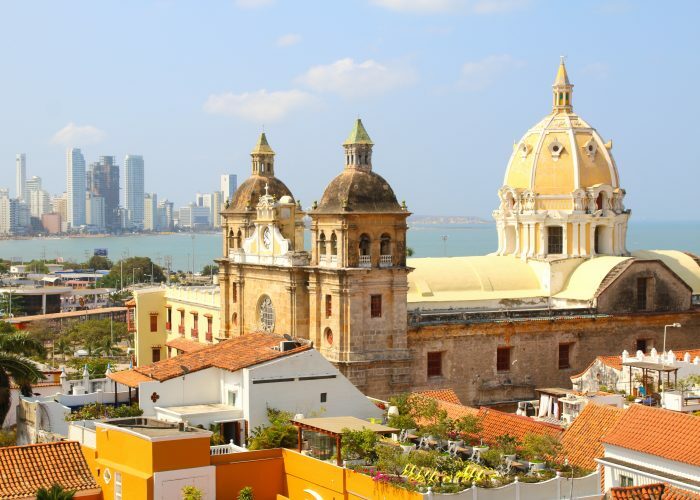 Why It's a Steal: KAYAK's 2017 Travel Guide named Cartagena as the top wallet-friendly flight destination. Airfarewatchdog shows round-trip flights from Florida cities, Baltimore, Atlanta, Boston, D.C., and New York City under $400. Nightly summer rates for Cartagena are also very affordable, thanks to the exchange rate. Relax poolside at a great price at the Hilton Cartagena, which is surrounded by the Caribbean Sea on three sides, and has nightly rates under $100 on TripAdvisor. While summer is always a popular time to visit Greece's capital, this summer is one of the most affordable times to go. Head to Athens in late summer to beat the crowds and still enjoy historical sites and Mediterranean cuisine at a great price—falafel and tzatziki are calling. Why It's a Steal: Airfare is down by 13 percent this summer compared to last year, according to KAYAK, with round-trip fares under $800 from Boston, Toronto, Miami, D.C., and even Los Angeles found on Airfarewatchdog. Due to Greece's struggling economy, you'll spend less on food, attractions, and accommodations this coming season. It’s possible to find affordable hotel rates this summer. 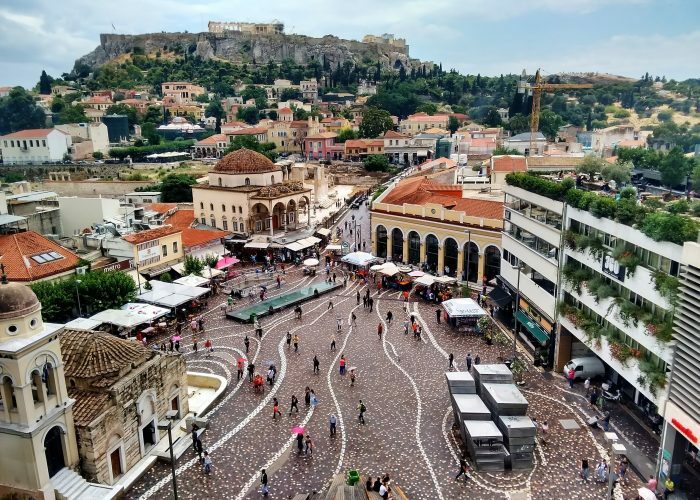 Check out the popular Hilton Athens—with views of the Acropolis—which offers a Cultural Weekend for Two Package with 30 percent of a two-night stay, including free tickets to popular Athens museums. Don't Miss: Summer brings warm weather, island day trips, and festivals like the Athens & Epidaurus Festival, which celebrates performance theater and local artists. 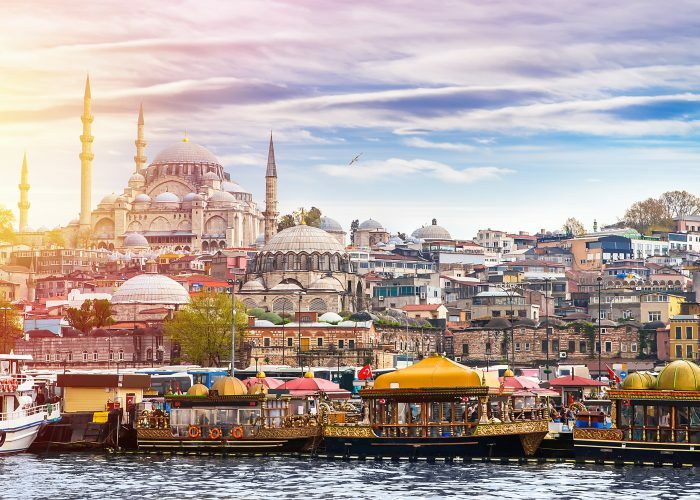 Enjoy the city's ancient history at popular outdoor sights like the Parthenon, and its trendier side at outdoor cafes and spaces like Technopolis and GazARTE in trendy Gazi. Editor’s Note: Special thanks to CheapAir, Kayak, Hilton, Cheapflights, Wander, Liligo, Airfarewatchdog, and CheapOair for contributing data and commentary for affordable summer destinations 2017. Airfarewatchdog and Flipkey are also members of the TripAdvisor Media Group, which is SmarterTravel’s parent company. Ashley Rossi loves bringing you news about affordable summer destinations. Follow her on Twitter and Instagram for travel tips, destination ideas, and off-the-beaten path spots year-round. Send her an email if you have an off-season or secretly inexpensive destination you love visiting in the fall for next season’s round-up of affordable destinations.